No doubt with the kind of vibrant nightlife that you get in Balibago or Field avenue, as the entertainment strip is known, a visit to Angeles City will be incomplete without a few nights stays. All you need to do is put the dates in the search box below, that your looking to stay in Angeles City. The search box will search for the best prices of hotels in Angeles. With regards to accommodation, some might want to stay right in the heart of the entertainment center where all the action is, while some might prefer a more discreet location. The hotels that are found along Don Juicio Avenue and Fields Avenue actually cater more towards the flesh trade than to the innocuous tourist coming to enjoy the rich heritage of Angeles city. Now I really wonder how many of us guys really head up to Angeles city just for the sights & sounds and not the nightlife! But Angeles city has been booming due to the transformation of the area as the Clark Special Economic Zone (CSEZ). So you actually get hotels springing up all over the place catering to all sorts of budget and taste. 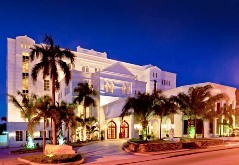 So it is not surprising for you to find 5 star luxury hotels to budget hotels well below the $50 price range. If luxury is your cup of tea, then the Angeles Beach Club or better known as the “ABC” Hotel, located at Don Juico Avenue Malabanias might just suit your taste. The ambiance extruded by the hotel, gives guests a sense of it being an ostentatious hotel with its personal helicopter service fully loaded with a stewardess in a bikini! But yet when you think about it, the amenities provided are meant to lend the idea of a partying mood right in the heart of the entertainment district. You can get an idea of how much accommodation at Angeles Beach Club will cost you here. Or have a look at Tripadvisor's recommendations, compare prices and bookings for Angeles Beach Club. If you want something that is more discreet and more conveniently located to the airport, then opt for the Hotel Vida. Located along M.A.Roxas Avenue, it is just minutes away from the Golf Club, Casino and SM Clark Mall. Prices for a night stay at the hotel ranges from 4000php to 5000php per night. You can get an idea of how much accommodation at Hotel Vida Angeles will cost you here. Or have a look at Tripadvisor's recommendations, compare prices and bookings for Hotel Vida Angeles. However, by far the most popular Angeles City Philippines hotels accommodation for visitors is the Holiday Inn Clark Angeles City. Reasonably priced at around 3000php per night, the hotel is situated along Mimosa Drive in Mimosa Leisure Estate. This 4 star hotel sits amidst a private parkland dotted with century-old mimosa rain trees. The scenery couldn’t be more idyllic than this. 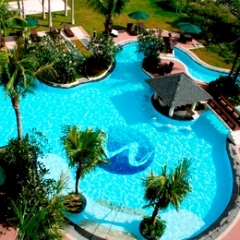 The hotel is the choice preference for accommodation in Angeles City for most tourists. Mainly because of its close proximity to the Diosdado Macapagal International Airport. It’s just a 5 minutes drive away from the airport. You can get an idea of how much accommodation at Holiday Inn Clark will cost you here. 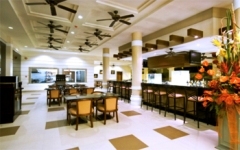 Or have a look at Tripadvisor's recommendations, compare prices and bookings for Holiday Inn Clark. 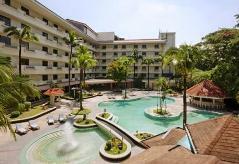 The Lewis Grand Hotel Angeles is also another favoured choice for Angeles city Philippines hotels among tourists. It is situated along Don Juice Avenue, and is within easy walking distance of the entertainment district, but it is also far enough to be discreet, if you want to be discreet. The room rates here per night also start from around 3000php per night. You can get an idea of how much accommodation at Lewis Grand Hotel Angeles will cost you here. Or have a look at Tripadvisor's recommendations, compare prices and bookings for Lewis Grand Hotel Angeles. Budget hotels in Angeles City are everywhere! Here, in the city, you have a whole spread of budget Angeles accommodation of choose from. In fact, most of the hotels to be found in Angeles city are dirt cheap when compared to western standards. You can get an idea of how much accommodation at Savanah Resort Angeles will cost you here. Or have a look at Tripadvisor's recommendations, compare prices and bookings for Savanah Resort Angeles. 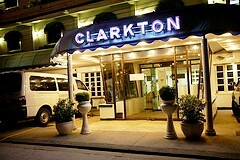 The Clarkton Hotel in Angeles City is a budget hotel. It is well known for it's really good service, which is something I always look for in the cheaper range of hotels. It shows the management and staff do care. Both the Savannah Resort and the Clarkton Hotel cost less than $50 per night. Both these hotels are situated along Don Juico Avenue making it easy for guests to explore the heart of the entertainment district. You can get an idea of how much accommodation at Clarkton Hotel Angeles will cost you here. Or have a look at Tripadvisor's recommendations, compare prices and bookings for Clarkton Hotel Angeles. How do I get to Angeles City? Do YOU have a great review on one of your favourite hotels in Angeles City? Did you have a great experience that deserves a rave? Share your tip or review on your favourite Angeles City Hotel with everyone! * Do you know of a really cheap but comfy Angeles City Hotel? * Did you run across a fabulously luxurious hotel that you loved? Then help other Angeles City travelers and share your opinion about it!